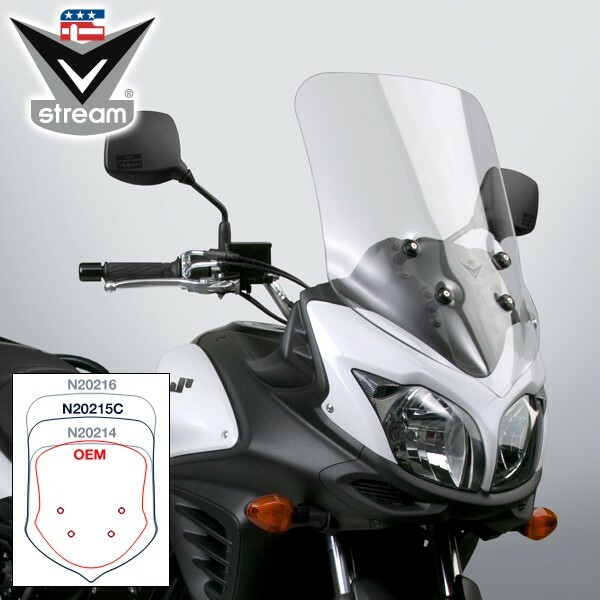 Riders of the 2012 and later Suzuki® DL650 V-Strom® are sure to love the advantages offered by National Cycle's new line of VStream® windscreens. Designed specifically for the V-Strom, these windscreens dramatically reduces the wind noise and buffeting experienced with the stock windscreen on both models, enabling longer rides in much greater comfort for riders of virtually any height. The Sport-Touring size, light tint VStream is an all-around performer — great for commuting or touring or back road exploring. Let me first say that this is my third aftermarket windscreen for my V-Strom and it is the best so far. VStream® Review by Richard S.
I bought my Suzuki® V-Strom two years ago and have put about 24,000 miles on it. I rode it about 1,000 miles with the stock windscreen and felt the wind protection was inadequate. 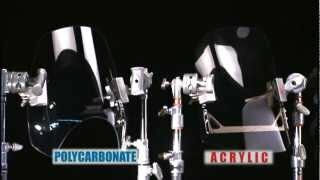 I saw a new Givi® windscreen that was a two-piece design that could be adjusted up and down 4-6 inches to the point where you could look through it in the highest position, but it still had a lot of buffeting and turbulence.